Just like Lot before them the Israelites wanted the choice Egyptian style land. In their wandering in the desert they felt dispossessed of the opulence of the land of Egypt. And according to Rashi they felt relegated from the role of the chosen to hated son. Parshat Devarim is always read the Shabbat Before Tisha B’Av. This is the yearly commemoration of some of the worst tragedies that have befallen the Jewish people throughout history. If we were to ever feel hated, it would be on Tisha B’Av.This is interesting in the larger context of the flow of the Jewish Calender. This month of Av comes right before Elul which leads into Tishrei. While we are judged by the divine King in Tishrei, in Elul we have a different imagination of the King. The Baal ShemTov called the days of Elul the days when the King is in the field. To gain an audience with the King during Tishrei we must go through a lengthy procedure. We must travel to the capital city, arrange an appointment, and then get permission to enter the palace. And then even when permission is granted is may be days or weeks before we are finally allowed to enter. When we does finally get to see the King, the audience is likely to be short and very formal. Not used to the royal surroundings the High Holidays makes us feel out-of-place and by the time we got there we might even have forgotten why we came to seek the audience of the King. Once a year, the King leaves the capital to visit the various constituents of the Kingdom. Now a King can’t just enter a city unannounced. When the reaches the outskirts of the city the King is to visit, the King’s entourage sets up a camp while a special delegation goes ahead to the city to make preparations for the King’s visit. While they are doing these preparations the King is in the field; relaxed and enjoying the early fall weather. Here formality is transformed into familiarity. Here in the field the common folk are allowed to come out to greet the King and receive blessings. During Elul, the King is in the field and is easily accessible. We need only make the effort to go out and greet the King. And what does this mean for these fields and the King in this month Av? Is this time that the King is engaged in a war with our enemies? Is the King out there dispossession us his citizens of their choice fields? Is it just a time of reward and punishment? I think we have to experience the pain and hatred of Tisha B’Av. But, we cannot get stuck there. We need to move past Anti-Semitism to a Jewish contribution to make the world a better place. During Av the King is also in the field, but during this time the King has rolled up the King’s sleeves and is joining us in irrigating the fields. The world is broken and there is a lot of work for us all to do to continue rebuilding the Kingdom. With the advent of Elul, we start looking ahead toward the High Holidays or more specifically Yom Kippur. Recently I was struck by the preponderance of people I know who are getting married this month. It is explained that the bride and broom are judged on their wedding day as if it were Yom Kippur. On the day of their wedding it is customary for them both to fast and for the man to wear a kitel under the huppah. This is the same garment that he wears on Yom Kippur. He dresses up as an angel, white and free from sin. It seems to me that you could also see it the other way around. 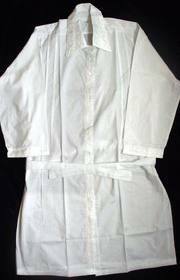 That the husband wears the kitel on Yom Kippur in that it reminds him of his wedding day. Rabbi Abraham Joshua Heschel is reported to have said, ” On Tisha B’ Av– how could you eat? On Yom Kippur who needs to?” Tisha B’Av is a day of national tragedy. Eating would separate you from the rest of your nation. How could you eat? On Yom Kippur you are in love. It is like your wedding day. You are about to create a lasting bond with your life partner. You are so head over heals, how can you imagine eating? While few of us are blessed to be getting married in this season, we all are moving from Elul toward Yom Kippur. I hope that we all find a way to connect to that love. Yom Kippur is coming, but do not think of sin and guilt. Think of standing with your life partner. Love is in the air in Elul.